Here you’ll find some of our favourite website design and build projects we’ve worked on recently. 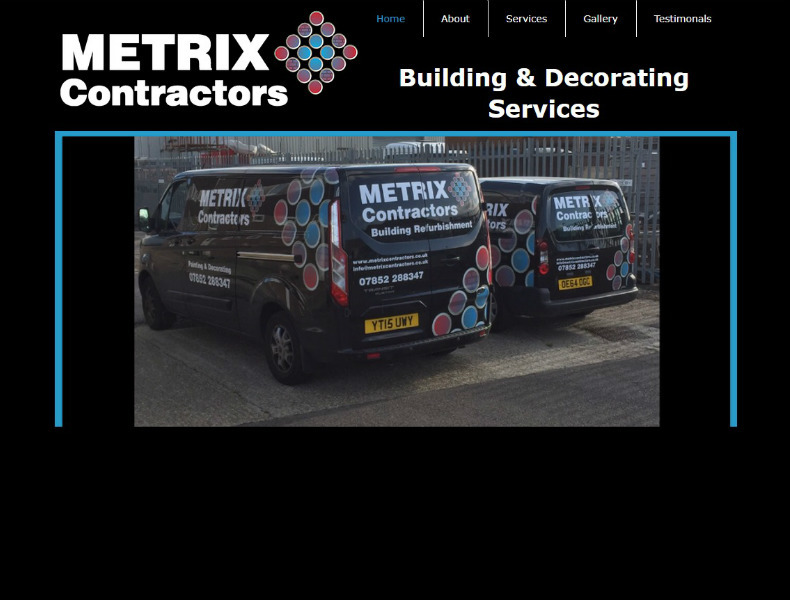 We loved working with Metrix Contractors. They are a family run building firm based in Polegate Sussex. 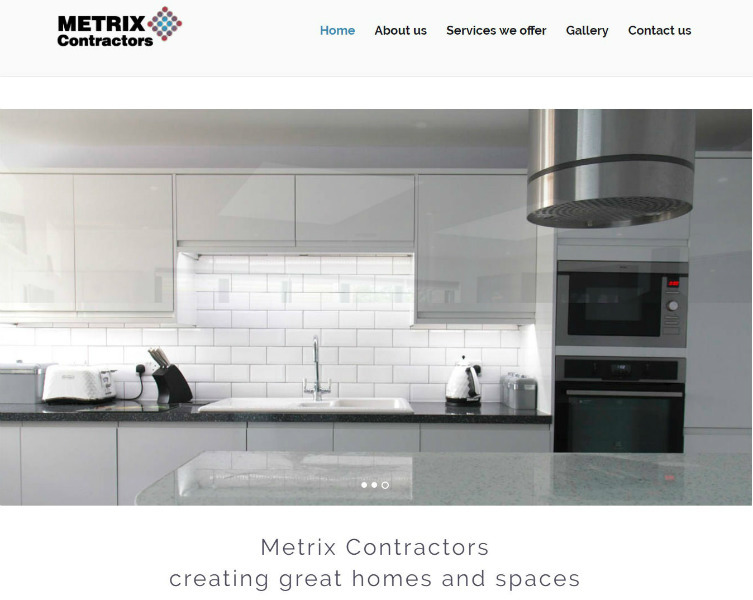 It was a great project to work on because Metrix are an established firm in the local community, looking to grow their business. 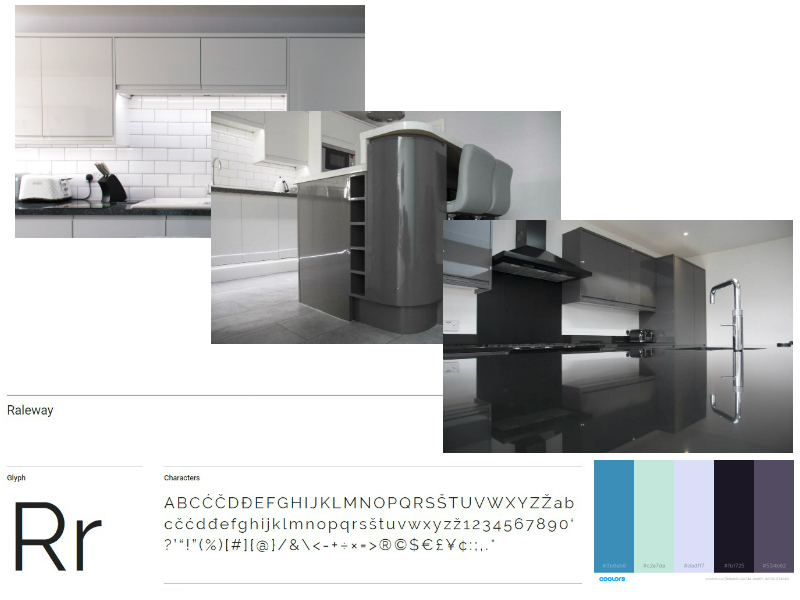 Metrix had a website but felt that it didn’t do them justice or demonstrate the high the quality of their workmanship. They were keen to freshen up their identity and present themselves more professionally online. Metrix had a logo they were happy with, so we created an online brand identity to complement what they had in place already. Our brand development work included font selection, colour palette development, tone of voice and best of all shooting a new bank of stylish photography. The photography really helps to demonstrate how innovative they are and high quality finish of their work. We used SEO best practice techniques such as creating a sitemap, ensuring images and links are labelled and the site headings were tagged up properly. 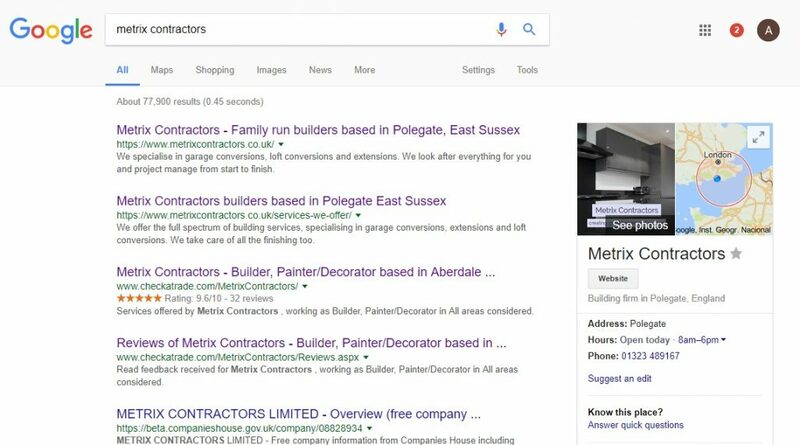 Alongside the onsite techniques, we set Metrix up with Google Search Console and Google My Business to improve their search visibility. We had a great time working with the lovely chaps at That’s A Wrap. They are a new street food business based in Brighton and Hove. They needed a very speedy turn around on a website to support them at their first event. 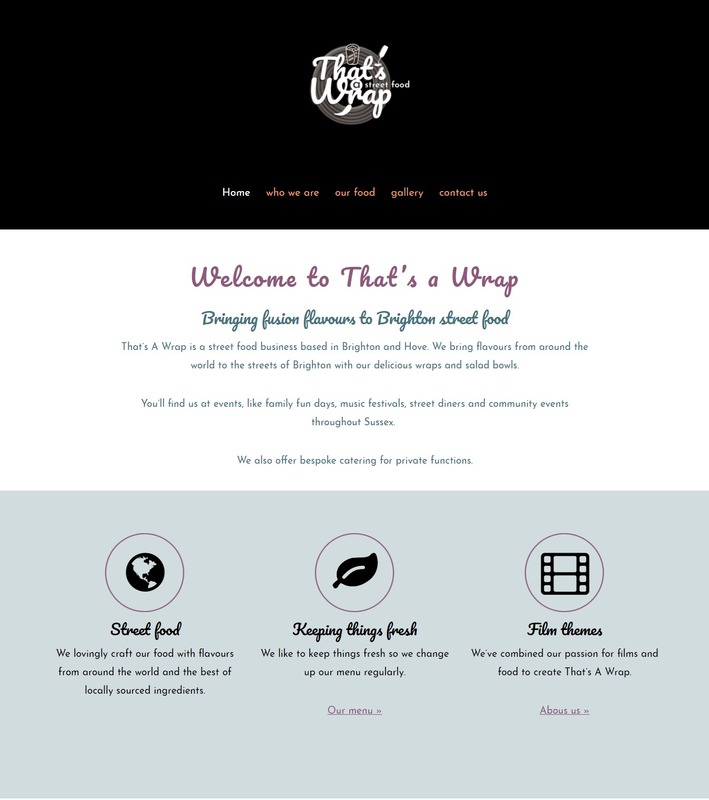 That’s A Wrap had their brand identity already and provided their own content. We built them a mobile optimised website on WordPress. We set up all of their Google Analytics and Google Search Console so that they can understand how the site is performing and make improvements going forward. Best of luck chaps, we know you’ll be a huge success. We had a great time working with the lovely chaps at That’s A Wrap. 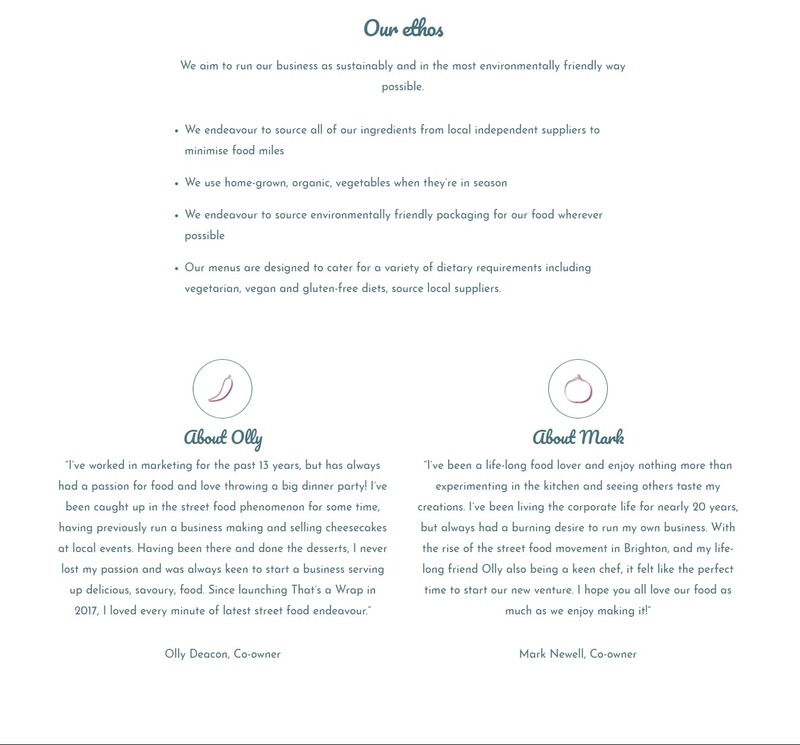 They are a new start up business and needed a very speedy turn around on a website to support them at their first event. They had their brand identity already and provided their own content. We built them a mobile optimised website on WordPress. We set up all of their Google Analytics and Google Search Console so that they can understand how the site is performing and make improvements going forward. We’ll be happy to talk it through with you.